As I approach 4 years in retirement (OMG, where did the time fly to), I wonder if calling my blog Retirement Transition is becoming old. Certainly I should have transitioned by now! And yet, I’m not there yet. I’m not yet completely living the retirement lifestyle I’ve envisioned. On some days, I still struggle with a new daily rhythm. I still have old habits I need to break – not enough healthy living habits, too much procrastination (I’ll do it someday), still trying to live up to others expectations. Transitions have some unique elements to them. You are giving up something (in the past) and reaching for something new (in the future). There is often a neutral zone in between the letting go and beginning anew. There is a feeling of not being where you want to be, a feeling of being in limbo. One thing I’ve learned recently is that life is just a series of transitions. Yes, stopping a 55-60 hour workweek in a long-term career is a big transition. But many other transitions occur at this life-stage…more big ones than in other life stages, I believe. Downsizing, by choice or by need. Dealing with a major health issues, yours or a significant others. The transitions in daily habits as you learn to live with physical changes (body and appearance). Then there are the events that shake your soul – parental death, sibling death, good friend death. And there are the little transitions as well, especially when one is learning & discovering. 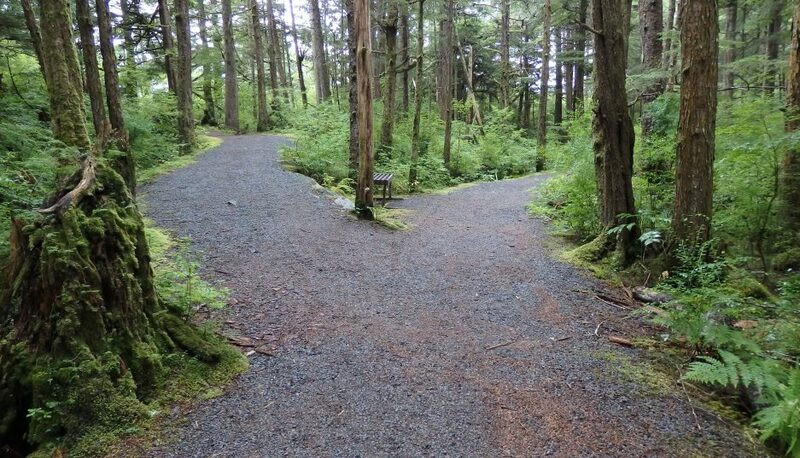 When trying new things, there are those moments of uncertainty and questioning…is it right direction? Is this new things I’m trying a fit or not? So, I’ve concluded that since my retirement life-stage is a series of transitions, my blog name still makes sense. What transition are you in right now? I agree with you and your other readers that life is a series of transitions–some more evident than others. I am currently transitioning from climbing the career ladder to making the most of my current position as I start to look ahead to retirement. In my family, my siblings and I are transitioning into caregivers for our mother. My blog is also about transitions and asking the question Now What? I love your blog, Pat, and agree that Retirement Transition is still an appropriate name for it. Continue on! Thanks Christie. It’s taking me a bit to realize that there would not be a specific point to say “I’ve arrived” and this next bit of life is so much more about enjoying journey. I’ve never been very good about enjoying the journey, so learning to make the most of it (as you say) is new skills. I wholeheartedly agree! While I’m struggling with remaining retired full-time (I have returned to the classroom in a limited capacity twice in the past four years) … I do feel I have transitioned a few baby steps at a time. And I suppose the old saying is right: the only constant in life is change, and I think that is what transition means… changing from what was to what is to what can be. It’s fluid rather than stable. Molly, when I retired I thought it would be more switch off/switch on – at some point you’d be at the second point. But I’ve found it is more fluid and that is fine. I like the what was…what is… what can be! That is exactly how I feel and living life with that wonderful anticipation and working towards it… I’m becoming the woman I want to be. I like the comment you made to Karen about “a life living in transition is a life living in growth mode”. I guess I had never really thought about transition as a process, but a distinct action … I am, then I’m not. In triathlon, the transition zone is the place you want to spend as little time as possible moving from one activity to the next. There is a high risk of wasting too much time there by not being organized. However, the way you’ve presented it here, transition is not a *bad* thing at all, nor is it a distinct action moving from one stage to another. It’s actually a very good thing because of its implication that personal growth is involved. The time spent transitioning is a period of discovery and learning. When I think of it that way, transitioning is actually the *living* part. The beginnings and ends are simply ‘ports of call’. I’m kind of rambling here because I’m thinking out loud (so to speak), but in my mind that totally changes the meaning of your blog title. You’re now (we all are!!) in a stage of experiencing the retirement cycles of personal growth. I love that – a lot! Thank you! I think I just had a major AHA moment this morning!! Wow, I adore how you articulated this!! It’s interesting how certain words can have different meanings. Karen’s post this week on balance is another one – balance can mean many things. Obviously so can transition… your biathlon example is great to show a type of transition where you want it to be fast. “Retirement cycles of personal growth” is a lovely phrase. And thank you for sharing your AHA moment with me and others. Hi Pat. I didn’t realize it but you were a year ahead of me. I’ve just passed the three years retired mark. I’m definitely in transition still in so many ways, and expect I always will be. Or actually it’s more accurate to say that I HOPE I always will be in transition in some aspect of my life. Because as challenging as it can be, those transition points are where I feel most alive. Karen – I just read your trapeze article link… wow, I wish I had read that before I published this… I would have referenced it! It captures the feelings of transition so well. And yeah, I think a life living in transition is a life living in growth mode. Scary as it may be. I didn’t start my blog until a year into retirement. It was learning that I liked to write (took a writing class) that spurred me to blog. And I am very glad I did…it’s provided me with a whole set of fellow travelers on this journey! I’m VERY glad you started to blog, Pat. And I too didn’t start my blog until a year into retirement. These parallel tracks we live continue to fascinate and delight me. Oh my… the parallels do seem to build up, don’t they! I love it! Debbie – Isn’t it wonderful to find a tribe of folks that share your thinking? It’s one of the things I adore about the blogging world I’ve stumbled into! I love being retired, was just discussing how happy we are with retirement at the pool yesterday with friends. Right now we are transitioning into what may or may not be with husbands cancer. But I think all of life is about transition. I’m learning more about transition at this life stage I guess. I was never very good with change, so becoming more comfortable with living with unknowns (like cancer) is definitely learning. But yeah, I am happy with retirement as well! Thanks Marty. Seem to be the consensus that it’s still working. (no pun intended) And yes, the nightmare of figuring out how to change the blog name is too much for this blogger as well! It’s not laziness… it’s having the right priorities in life. That’s my story and I’m sticking to it. I had my 4-year retirement anniversary earlier this month so we are on the same timeline. I, too, had questions about the name of my blog (I didn’t think retirement was much of a challenge anymore – in fact, I’m pretty good at it! ), but I love the name RetirementallyChallenged because it’s fun and memorable. I think Retirement Transition is a good one too. I think it’s important to continue to challenge ourselves and to transition to new and different things. Janis, this is why I put things out there… to find out I’m not alone! I’ve always loved the humor in your blog name. And since you’re continuing to challenge yourself… your blog name continues to work as well! Here’s to 4 more years of challenge and transition! I personally love the word “transition” as it describes my state. I had a plan when I retired, but I didn’t follow it and still have no concrete vision. I feel out of sorts some days no longer being in the corporate world driven by missions, visions, plans and goals! I’m enjoying your blog and think the title is just right! Thanks Tracey. I didn’t have a vision (or plan) when I retired…but created one in the first year out. More a vision of how I wanted to live each day (versus a goal of where I wanted to get to). My plan tries to make that vision of daily life a reality. Essentially it is living a more healthy lifestyle…physically and emotionally. No big life mission. But requiring lots of new habits, lots of little transitions! I am unavoidably transitioning to an older body with more aches and pains and slower recovery from injury, but other than eating healthily, exercising regularly and sleeping well, there’s not a lot I can do to prevent that transition from occurring. I am also transitioning to new ways of looking at the world now that I have more time to read and think about what I really believe to be true. I am not sure where that will lead. So yes, transitions are still occurring and probably will be as I move from one stage to another of my post-retirement life. Bob, we’ve established that your retirement is completely uniquely you! You’re having fun each and every day doing things you find joy in doing. Life can’t get much better than that. And yeah, I expect you’ll continue to flow from one thing to the next with ease. No, I don’t envy you that (OK, not much). You’ll take that ease of transition into the other aspects – the transitioning aging body (we all have that but it’s better than the alternative), the new ways to think…and your someday will be just as you want it to be. Hi, Pat – I LOVE the name of your blog. It suits your content perfectly! I believe that your blog name helps others who are interested in the transitional aspects of retirement to find you — which is a very good thing! Thanks Donna. Yes, a blog filled with self-doubt… in need of eternal validation. Thanks for helping to provide that! I did have one friend say…just change the name of your blog… and I’m like… oh dear, no idea how to do that and keep my readers! And then… what would my blog be about! As you point out, the name suits the content… and it is what I still need to write about. It’s the content that flows out of me. Hi, Pat – When I read your blog, I see less of the ‘self-doubt’ that you describe….and more exploration of possibilities. “Retirement Transitions” is a great name for that! Hi Pat I think we are always in transition throughout life. Changes happen even when we aren’t aware of them. If we didn’t transition we wouldn’t grow and learn. I think the name of your blog is perfect – retirement is full of transitions. have a great week! Sue, I love how you can state things so obviously! If we’re not transitioning, we’re not learning and growing. Uh, yeah… why did I struggle with that concept? LOL. Yeah, I’m learning about staying in transition as well. Add being happy with the changes…for me that means realizing things could be (a lot) worse. I’m hoping I feel like 50 when I’m approaching 71!! Hi Pat, I am just about ready to start a celebration blog of one year into retirement. That one year has held a lot of what you mentioned. A lot of learning new things and sadly the passing of a very long-term friend. I don’t think I have a vision of what retirement should look like. I am however happy to experience it and be free of the obligations that working full time demanded. Hey Fran, I guess my vision is more about how I want to be living at this point in my life. Since when I worked, it was 95% work… now it’s kinda 95% life! Never could manage that balance thing. Being free of the work obligations is a wonderful feeling…isn’t it? !